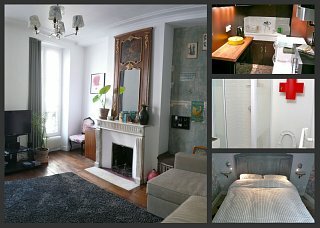 When we first bought the apartment, the idea was to have all mod cons; washing machine, dishwasher, swimming pool, heliport, etc. Then we realised that there was barely enough space for a cutlery drawer, never mind a washing machine. Happily, if you are someone who sweats a lot or likes to roll around drunk in the street, help is at hand. 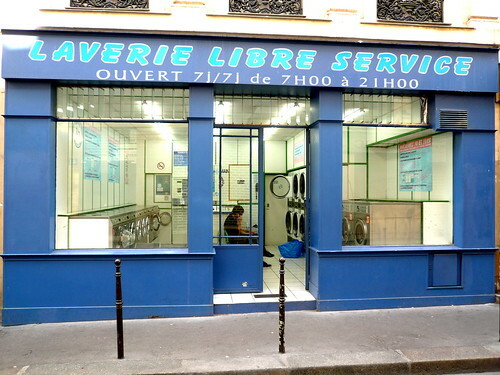 Just a couple of doors down from the apartment is a launderette open every day of the week from 7am - 9pm. 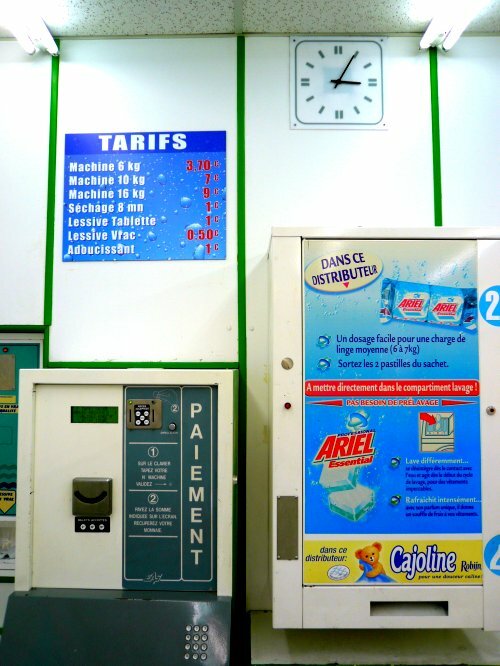 As with all of these places, the neon lighting will sear your retinas, but the prices are reasonable - a wash and dry with powder comes to just over 5 euros. So, sorry we don't have a washing machine in the flat, but we reckon you can polish up your French whilst chatting at the launderette. See how nice we are to you?